Manchester United will collide against Watford today and three points for Solskjaer’s men will help them move above Arsenal in the table for the time being. For now, the Gunners have a two point lead over the Red Devils and Emery’s men will face Newcastle United on Monday night. 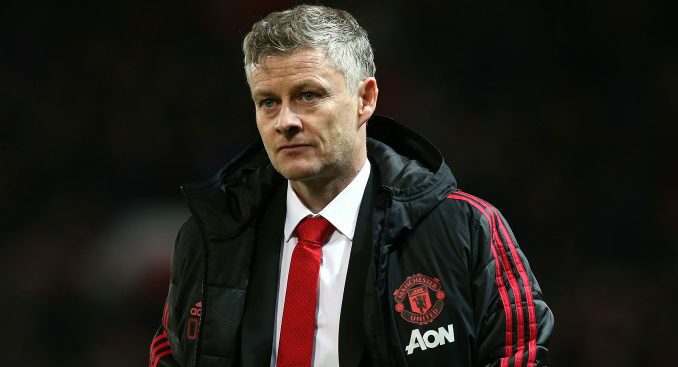 This is Solskjaer’s first game in charge after agreeing a permanent deal with the club and the Norwegian manager has selected a very strong starting XI vs the Hornets. 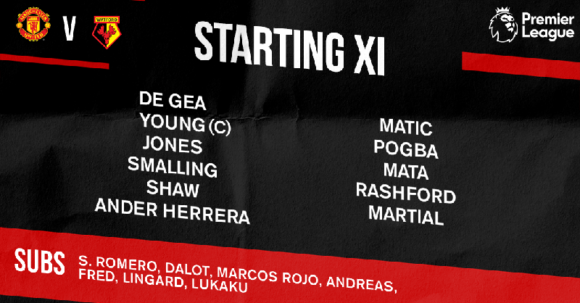 In the fullback positions, the likes of Luke Shaw and Ashley Young are starting. In the central defense, Jones and Smalling start in front of Spanish goalie David De Gea. Matic starts as the team’s main defensive midfielder. Ander Herrera starts in the central midfield and I think Pogba is going to play in the No.10 role behind the main center forward. In the attacking third, Martial and Mata are probably starting in the wide positions and Rashford is starting as the lone striker up front. If things do not work out then Solskjaer could turn to Lingard and Lukaku, who are starting the game on the bench.